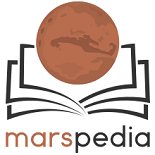 Please nominate articles that are detailed and unique enough to be featured on the front page of Marspedia. Once we get started and begin to create larger articles, a more complex vetting criteria can be applied, but for now, feel free to give your suggestions below. This page was last edited on 17 November 2017, at 12:13.